Once a proud ship. Note condition of life boats. On 29 June 2016, she partially sank while docked in Goa, India. The sinking was caused by heavy monsoon rains. 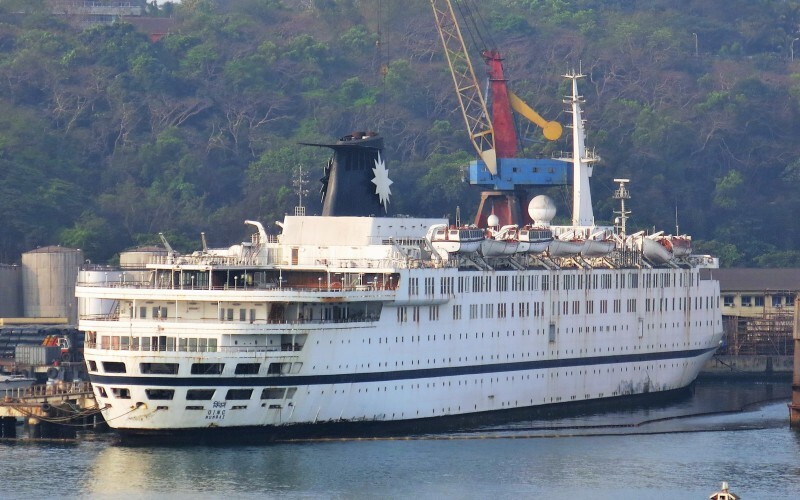 She was eventually re-floated by a salvage company in June 2018. 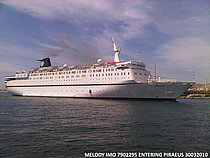 The ship was soon after sold for demolition and scrapping. Thank you all for your comments. Whatever the case her future does not look good! I you google for "Western India Shipyard Mormugao" and look at the current satellite image (which I think is quite recent), she is still sitting at the dock in Mormugao. Sad nostalgia Tony. Well worth fetching from your archives. Not sure I would enter those life boats. 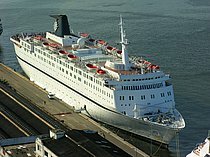 Sad to see an old ship like this. This photo has been shown 898 times since it was added to the site.